Hey y'all and welcome to another What's Hap-'Pinning' Wednesday! 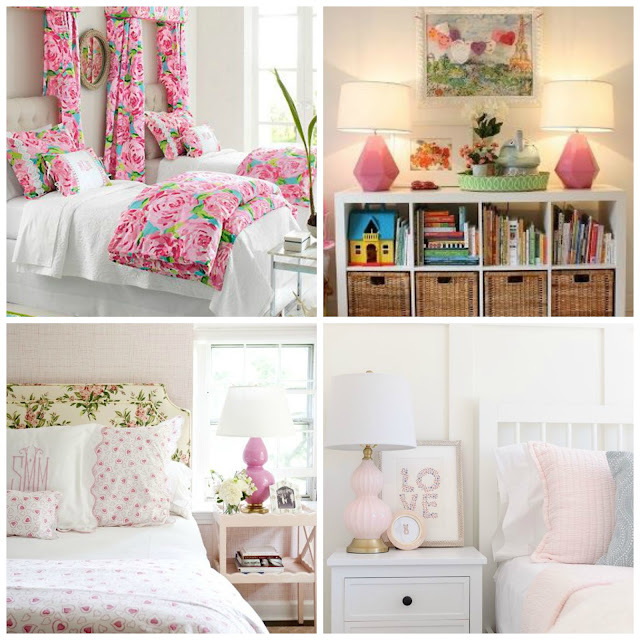 Today I'm sharing some inspiration for Miss A's transition to a big girl bed/room. Although she has showed ZERO signs of ever escaping or trying to get out of her crib, her success with potty training is proving that the transition probably needs to take place sooner rather than later. Also, during our getaway last weekend she did fabulous in a queen bed with me! I haven't rushed it because her room is upstairs and kind of far from us so I'll have to gate everything off. Her room is on mid-level that has access to a third floor as well so double the gates (gasp!) Its sad to be leaving yet another stage behind but also super exciting to sort of tweak her room which has always been my favorite space in our home. We bought her the Eddie Bauer Langley crib from Target in white which transitions nicely into a full sized bed. I just need to get the conversion kit now and a full sized mattress and we should be all set. The crib has held up wonderfully and with the less than $300 price tag, I'd recommend to anyone! Bedding wise, I've fallen in love with Pottery Barn kids' pineapple duvet set and actually found it new and a heck of a lot cheaper on Ebay but haven't quite decided yet. My Mama bought me 2 vintage Barbie calanders because I always knew I wanted to pick some out and frame them for her 'big girl room'. Below is her current room and colors and also what I'm thinking we may do. (not a drastic change - I just love some of the elements from the below pins) So wish us luck and once we actually transition, I'll definitely keep y'all posted on progress! Cannot wait to frame the vintage Barbie watercolors I've collected! How is it already time for her to have a big girl room?! Oh my gosh, time, slow down! Love all the inspiration!! We just re-did our littlest's room into a big girl room and it was sad but also so fun to decorate! Love that pineapple bedspread! I can't wait to hear how the transition goes! 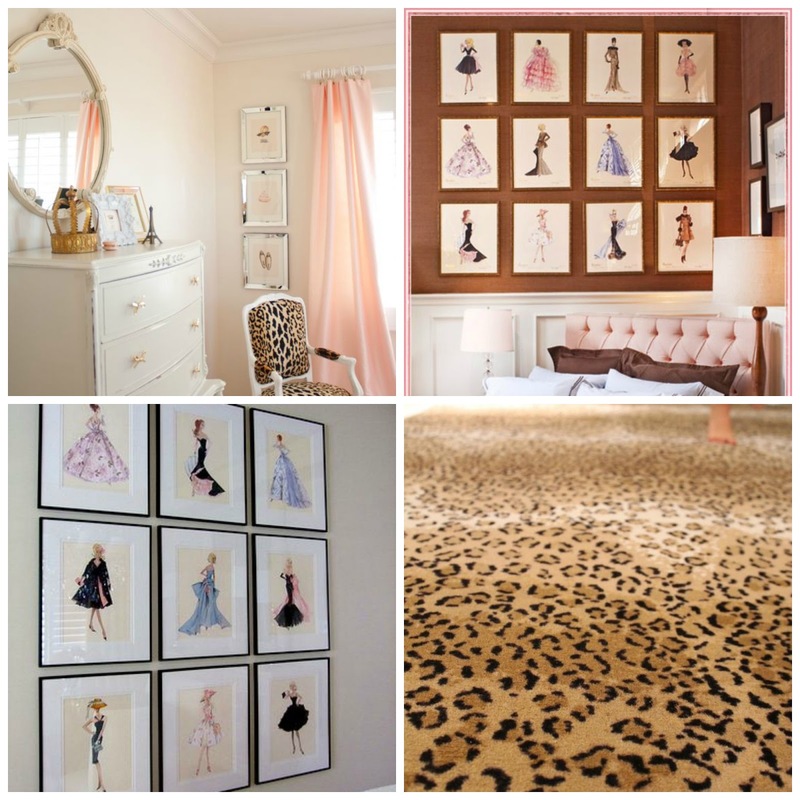 Time for a big girl's room? Wow,does time fly. Her room is so pretty!! She is going to have the cutest big girl room!! 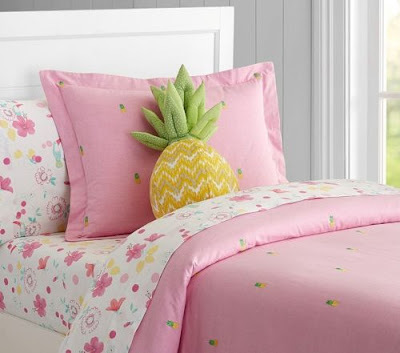 I'm obsessed with the pineapple bedding (ovbi) and the Barbie calendar photos! What fun! Oh how gorgeous this sweet room will be for your big girl!! Such fun inspirations. I LOVE the watercolor Barbies. I love the pink and green theme in her room now! The pins have some fun elements though that I can't wait to see what you do with! OMG the Barbie calendars are just too adorble, I just love that idea! Oh my word, those fashion prints are to die for! I can't wait to see what you do! Love all the inspiration! Especially that last pic! And Finn is on a different floor than us, but he just walks down to our room whenever he wakes (even if it's in the middle of the night). And we don't use gates. Although our stairs are carpeted and I suppose yours are not. Good luck with the transition! Adore all of your ideas! Especially that pineapple sheet set! It's definitely bittersweet to go through these milestones!